We are grateful to our sponsors, both financial backers and in-kind donors. A current list of sponsors for this year's race can be found here. Sponsorships allow us to retain more race proceeds to meet needs at Whitehills Elementary School. By using donated funds to purchase t-shirts and awards and pay for services such as timing and photography, we are able to maximize registration fee profits for our students' needs. Learn more about the Whitehills School Association, which organizes the Whitehills 5K, and see what projects the WSA is able to fund using money from its various fundraisers at the WSA website. The WSA is a 501(c)(3) registered non-profit. Are you a local business owner? Do you know one? 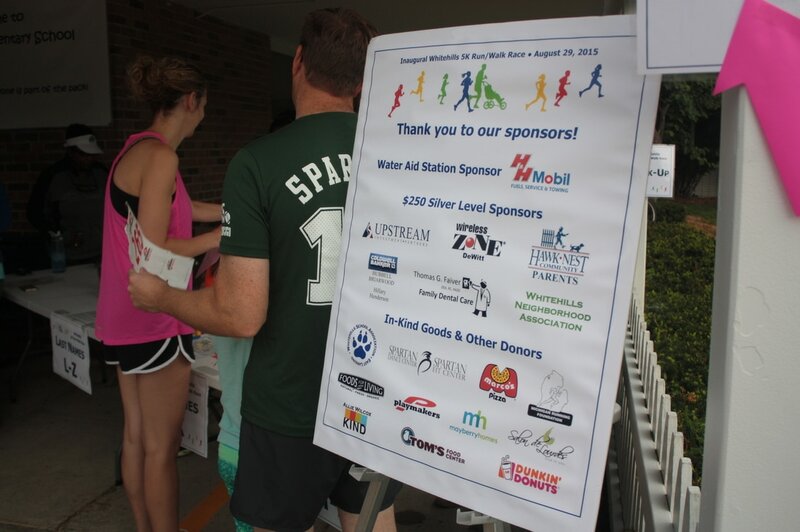 We are seeking community partnerships for monetary sponsorships or in-kind donations for our post-race raffle. Download the form below to learn more about the various opportunities available.